If you obsess about the details inside computers then on This Week in Computer Hardware, you'll find out the latest in motherboards, CPUs, GPUs, storage, RAM, power supplies, input devices, and monitors. 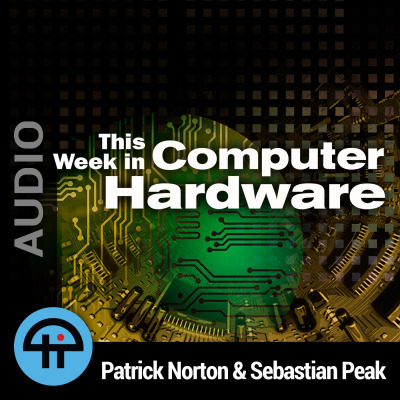 Hosts Patrick Norton of TekThing and Sebastian Peak of PC Perspective bring you the newest hardware, talk benchmarks, and even dive into the not-yet-released products on the horizon. Records live every Thursday at 3:30pm Eastern / 12:30pm Pacific / 19:30 UTC.